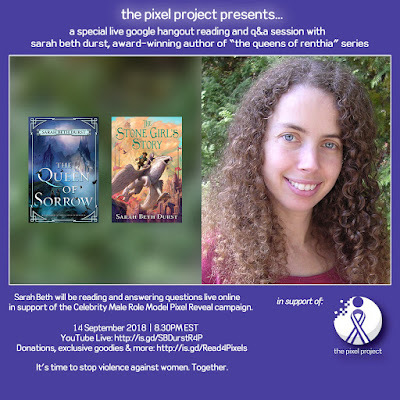 The Pixel Project is teaming up with 15 authors this fall in a campaign to stop violence against women. It's called #Read4Pixels and their mission is something I believe in very strongly: "It's time to stop violence against women. Together." And please also check out the Read For Pixels fundraiser from the Pixel Project at https://thepixelproject.rallyup.com/readforpixels2018 to support stopping violence against women. Lots of book bundles and other goodies are available, including signed hardcover editions of all three books in The Queens of Renthia! I love the moment a book gets its cover. Suddenly it feels so much more real -- like the story is walking out of my imagination and into the world. And I am so extremely excited for THE DEEPEST BLUE to be heading into the world because I loved writing it so much. To save her loved ones, Mayara reveals a dangerous secret: she has the power to control the spirits. When the storm ends, she is taken into custody by the queen's soldiers and is sent, along with other women like her, to an island filled with bloodthirsty nature spirits, and left without food, water, shelter, or any tools except their own instincts and magic. Whoever survives the Island of Testing will be declared heirs to the queen. 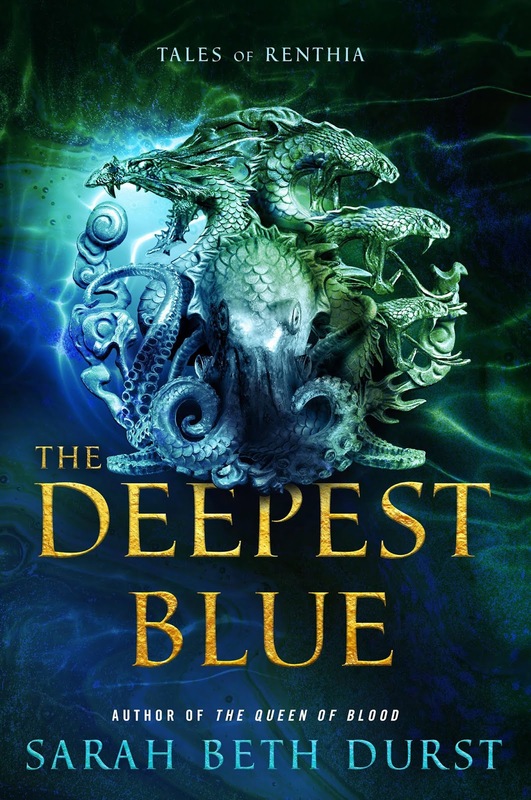 As the text at the top of the cover says, THE DEEPEST BLUE is a Tale of Renthia, which means it's a brand new story with brand new characters, a standalone epic fantasy set in the world of Renthia but in a different country than the Queens of Renthia trilogy. You don't have to have read the Queens trilogy to read this book -- though readers who have will recognize one familiar face! "Three of them woke, giant monsters that dwarfed imagination. One was shaped like a dragon with a scaly serpent's body, blackened wings, and eyes that were white-hot embers. Another was a kraken, with tentacles the thickness of a ship's hull. And the third was a many-headed snake, with a body that could wrap around the city of Yena."